I have had many clients come to me for help to address a particular problem area in their life. Often times, I discover the client has been battling this problem for years and by the time I see them, their confidence is at its lowest point. So the starting point to begin any hypnosis program is boosting and re-building your confidence. Having a high level of confidence will carry you over any barriers that would have stopped you when your confidence level is low. A lack of confidence is the source of many fears and limiting beliefs. The basic source of fears and obstacles is a lack of confidence. Think about your goals. What is stopping you from reaching success? You probably start thinking about obstacles blocking your way or fears you’ll have to overcome. While you may have things to overcome, the thing that stops most people is not being able to move beyond those first thoughts of what lies in the path. How can you reach your goals if you don’t make the first attempts? Think about things you’ve accomplished so far in your life. Did you go back to school while raising a family? Did you take steps to find a better career? In hindsight, you can see that your accomplishments took many little steps to reach a big goal. You may have thought about who would make dinner or take the kids to after school activities while you were in class. You may have wondered if you’d ever make it to manager when you started at an entry level position. But you figured it out because your goal was in place, and you took the steps that eventually led to your new degree or new career. If you can’t motivate yourself to take the first steps, it could be a matter of your level of confidence. As soon as an obstacle pops up, you don’t think you can push past it. A high level of self confidence keeps you moving forward, jumping over hurdles to the finish line. 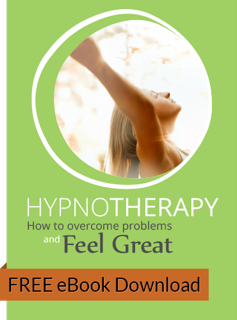 Hypnosis is a powerful method to help you boost your self confidence. A trained hypnotherapist uses techniques to address your subconscious, where your fears and limiting beliefs reside. Those thoughts, like “I can’t because…” or “It will never work because …” stop you before you ever start. These limiting beliefs can play over and over in your head. You can re-educate yourself to stop the fears and erroneous beliefs by addressing them in your subconscious mind. Regardless of your goals, a good starting point is to address your confidence level through hypnosis. A hypnotherapist will use a variety of techniques that can increase your self confidence, which will help you reach your goals. You’ll be able to take action steps comfortably and effectively. If you’d like to pursue a goal or overcome an obstacle, please contact me on 1300 661 074. We’ll discuss how hypnosis can help you build self confidence. What Happens During and After My Hypnosis Session? Are you looking to Quit Smoking?